Oct. 7, 2015, 2:15 p.m.
By Joshua Benton @jbenton Oct. 7, 2015, 2:15 p.m. There are a ton of smart ideas in AMP. And it works — cutting the load times of article pages enormously. But I have to say I’m a little conflicted about it. Google notes that AMP isn’t a business partnership the way that Instant Articles or Apple News are; there’s no ad rev share to consider. But AMP tries to do something maybe even more significant: change the way that the web is built, killing off some technologies and advantaging others. In a world of controlled platforms and walled app gardens, the web is the last open space standing, built over two decades, and there’s something irksome about a few Google engineers deciding which parts to ban. Yes, publishers don’t have to adopt it, and yes, it’s an open source project, and yes, the performance gains are very real and very substantial. But publishers can choose to adopt Facebook Instant Articles and Apple News too. The point is that this is another stop on the path to powerlessness for publishers — another case of tech companies setting the rules. It’ll take time and evidence to see how much my reaction is emotional — the fears of an old webhead who remembers browser wars and ActiveX and the battles over open web standards — and how much is strategic. Because maybe it really does take a giant like Google to be the one to save publishing from itself. Google’s incentive here is obvious: It makes its money on advertising, and the vast majority of that advertising is on the open web. If Facebook (or some other platform, but seriously, Facebook) provides a markedly better mobile experience than the open web does, those advertising opportunities (and that user data) disappears into Zuckerberg’s Walled Garden of Earthly Delights. I’m happy to share that the big discussion at #newsgeist was on Facebook Instant Articles…Participants saw it as a clear sign that, after Google long ignored difficulties with news publishers, Facebook wanted to make friends in Europe. Participating media executives see it as an experiment, as a way to learn. There was no discussion about the product quality. Everybody loved the look and feel, the loading speeds, and all other advantages Facebook Instant Articles offer for customers. The devilish offer is you keep all the money from ads sold by you, plus you get data. For some, that seemed too good to be true. Honestly, that sets new standards and makes Google think about how attractive its offers for publishers could/should be. Among other topics, we chose to talk about what Google could do for news, about Facebook as the new distributor — and sometimes editor — of the news, and about at least one idea to take advantage of that new reality. The web today is many things: an application platform, an e-commerce platform, a content platform, a gaming platform, and so much more. We decided to focus entirely on static content as it lends itself to more radical optimization approaches that are easier to apply across the board. No third-party scripts! Here are some things that use third-party scripts: essentially every ad, essentially every analytics package. When you see a page that is stuffed full with trackers, those are pretty much all third-party scripts. Certain HTML tags are also banned: iframe, embed, object, and all script other than JSON (and the script that loads AMP in the first place). The main HTML5 multimedia tags, img, video, and audio, are replaced with custom elements amp-img, amp-video, and amp-audio. We call them managed resources because whether and when they will be loaded and displayed to the user is decided by the AMP runtime….The runtime should prioritize resources currently in viewport and attempt to predict changes to the viewport and preload resources accordingly. CSS is also strictly limited in AMP HTML (“The restriction is in place to make overall performance easier to reason about. It may be opened up in the future”). Among the banned are the common CSS properties used for animation. Custom fonts are allowed but constrained in certain ways. By essentially supplanting the native rendering engine in a mobile browser, AMP can load or unload assets at will — not worrying about images until they’re nearly in view, for instance, or loading editorial text content first and ads second. @gloddy JS allows controlling render time. AMP is extremely lazy and just won't render most things at all. Browsers are super eager. But this stripping out out tags also reinforces a walled garden. 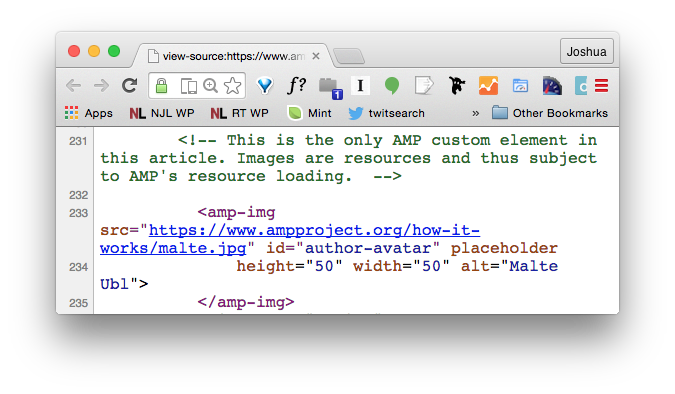 AMP is an open source project, but tags like amp-img are killing and replacing elements that have been part of the open web for literally decades. It’s forking HTML. I can't imagine that @timberners_lee's idea of "a subset of HTML" includes one that replaces <img> with a Google-specific version. In the earlier days of the web, browser manufacturers (most notably Microsoft) tried to shape HTML so that it would only work properly in its universe — the days of “Best Viewed In Internet Explorer.” The web standards movement worked very hard for years to get browsers and developers on board with using agreed-upon open standards for how the web gets built and rendered. You can embed things in an AMP page, using pre-approved extensions like amp-youtube and amp-twitter. But that advantages the companies that can build these sort of embeds and get them added to the spec. The open HTML tags being killed are available to anyone, anywhere — any startup, any publisher. You won’t be able to build beautiful interactive maps or data visualizations in AMP; you probably wouldn’t try to build Snow Fall in AMP. But it might make sense for those day-to-day pieces that make up most of the journalistic production of most publishers. That page is stripped down. On my iMac, the full version weighs in at 1.3 megabytes, renders the visible content in 2.60 seconds, and loads completely in 5.80 seconds. The AMP version is about half the size (777 kilobytes), renders in 0.47 seconds, and loads completely in 1.34 seconds. That’s the kind of enormous speed gain we’re talking about. But…that page also includes a SoundCloud embed — which is just broken in the AMP version, presumably because there isn’t an amp-soundcloud, or The Verge hasn’t implemented whatever it needs to make it work. And…The Verge is giving up whatever benefit they were getting from all those ad trackers and analytics trackers and such. It is possible to believe both that (a) there are too many ad tech companies and too many sloppy ad networks and too many duplicative analytics packages and the web is a giant mess, and (b) that publishers don’t add those things to their pages purely to annoy users, and they get some form of (financial, analytical, editorial) value from them. AMP makes those choices for them. @juruwolfe the custom elements allow for all kinds of interactivity and there is also an iframe fallback with certain restrictions. @juruwolfe yeah, it'll trail, but everyone can add more elements. Only thing is that they cannot be proprietary. @cramforce Yeah, which is what crushes me. I'm sure you get why hearing 'there's iframes' doesn't calm me much. Only five ad networks are supported at first, four of them owned by Google, Amazon, and AOL. 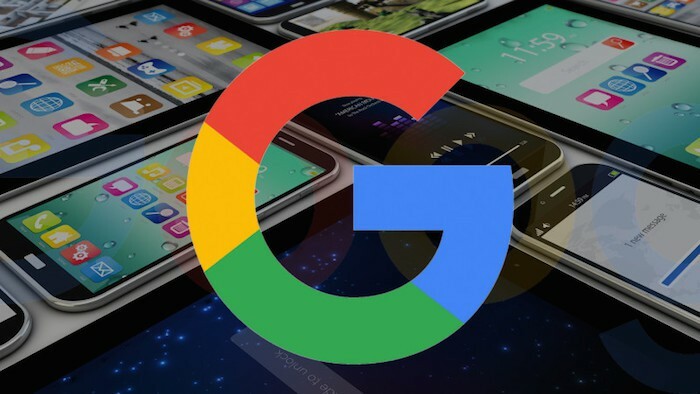 Google says any ad network can join, but again, the big guys have an advantage at the starting line. There’s more development to be done here, and people with more ad-tech knowledge than I have can better evaluate the impact. Okay, my brain hurts a little. What else is in AMP? It’s unclear exactly how that will work, since AMP is still a work in progress (particularly around advertising and analytics). But it’s optional; you can run AMP without any caching at all. But it’s important to note that Google specifically said that’s a demo, not necessarily what a real implementation would look like. Google said it won’t prefer AMP pages over non-AMP pages in search…but reminded us hint-hint-nudge-nudge that page speed is already a factor in Google results, with faster pages getting preference. Very similar to how Facebook says that Instant Articles won’t get any favors in its algorithm, but notes that faster load times and better user experiences do. When sites still get ~30 percent of their traffic from Google search, a tech implementation that gives any real SEO boost becomes alluring. Finally, how does this interact with the publishing bête noire du jour, ad blocking? AMP promises to make advertising nicer (primarily by killing off all that scripting cruft), but it doesn’t block ad blockers. @pkafka In the demo version at least I can block Ads in the AMP articles using an Ad Blocker. So there's that. You can make an argument that a faster smoother mobile web would lead to more people turning off their ad blockers or whitelisting AMP’d sites. But that feels like a triple bankshot, and I suspect user behavior would be hard to shift here. What’s it all mean for publishers? As I said, AMP is full of terrific ideas. It really does speed up load times. And it’s yet another case of a technology company coming along to promise a better experience for users that takes one more bit of power away from publishers. That is, of course, a reasonable and good thing for technology companies to do! Blogger and WordPress empowered anyone to publish online; this hurt professional publishers but the tradeoff was a net gain for users. Google, Facebook, and Twitter created amazing platforms for discovering interesting content; this hurt professional publishers but the tradeoff was a net gain for users. Apple created an app platform that promised amazing experiences for people with iPhones and iPads; this hurt professional publishers but the tradeoff was a net gain for users. And we who read things on our phones will be better off if AMP or something like it gets wide adoption. But that’s a different question than whether it’ll make sense for publishers. Which is why I’m conflicted. POSTED Oct. 7, 2015, 2:15 p.m.
Benton, Joshua. "Get AMP’d: Here’s what publishers need to know about Google’s new plan to speed up your website." Nieman Journalism Lab. Nieman Foundation for Journalism at Harvard, 7 Oct. 2015. Web. 18 Apr. 2019. Benton, Joshua. "Get AMP’d: Here’s what publishers need to know about Google’s new plan to speed up your website." Nieman Journalism Lab. Last modified October 7, 2015. Accessed April 18, 2019. https://www.niemanlab.org/2015/10/get-ampd-heres-what-publishers-need-to-know-about-googles-new-plan-to-speed-up-your-website/.